How thin is the veil between our world and the next? I have no doubt that sometimes, if only for a whisper of a moment, it lifts enough that we can hear, smell, glimpse, even touch those on the other side. Many times, while researching and writing The Last Prince of the Mexican Empire, my novel based on the true story of Agustín de Iturbide y Green, the half-American child who was brought into the court of the Emperor Maximilian in 1865, I felt the presence of the dead, a kind of mist-like watching, gathering around me. I am not kidding. Of course, I cannot prove it. Certainly, it could be my imagination and I have an active one, or I wouldnt writing novels! But I do believe some of the people close to the princehis wife, his mother and father, and his childhood friend the famous occultist and Freemason, Henry Ridgley Evans, as well as others, were helping me, opening doors of all kinds, nudging me towards certain books, people, or tasks. I came to think of them as the cheerleaders, a friendly presence, and as I wrote about some of them, I tried, as best I could, to be both honest and compassionate. 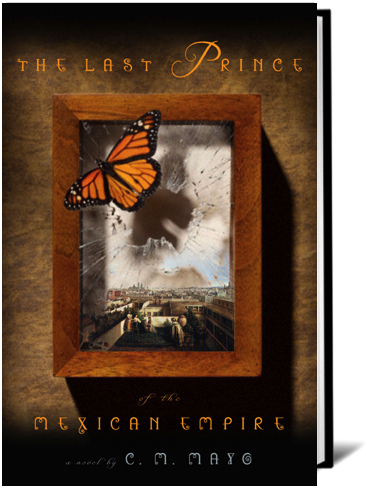 The story of Mexicos last empire is a ghastly tragedy. 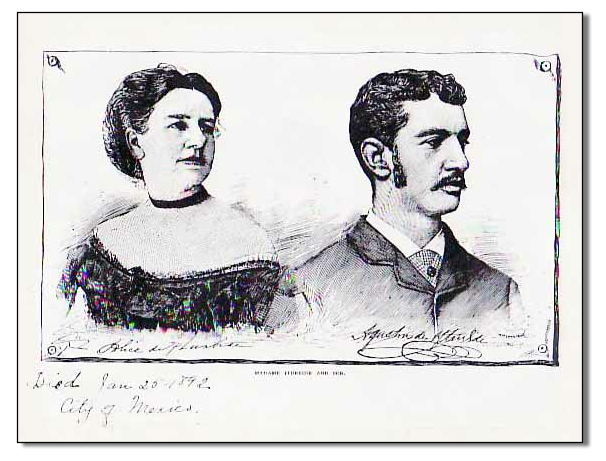 Above: a portrait of Alice Green de Iturbide and her son, Agustín de Iturbide y Green, by Isabel V. Waldo, from Fanny Chambers Gooch's Face to Face with the Mexicans. I could write another book just about the spooky things that happened in writing this one, but Ill leave you with one of the first, a coincidence, or synchronicity, if you will. In 1979-1980long before I had heard of the prince or even set foot in MexicoI was a student at Georgetown University in Washington DC. I lived in the Loyola dormitory, which sits near the top of Prospect Street, directly across from the side door to the garden of what was then Senator Claiborne Pells mansion. Nearly every day I walked by that dooror the front door, whether I were heading down Prospect Street toward the shops and movie theaters on Wisconsin Avenue, or just a ways to the Booeymonger to grab a sandwich. All the students knew that mansion was Senator Pells; he was famous then. I never saw him, except in the Washington Post. It was impossible not to be curious: what was behind that imposing facade and the resolutely closed shutters? Flash forward almost two decades. I was living in Mexico and, through a series of coincidences, came upon the all but forgotten story of Mexicos half-American prince. After some flailing about in a Mexico City archive, I began my research in what happened to behows this for a coincidence? an archive at Georgetown University. Bits and pieces from that led me to other archives in Washington DC, one of which yielded the puzzle-piece of a street address of the princes wife, Louise Kearneys family home, a historic Federal-style mansion known as Quality Hill." She had inherited it and, shortly after her marriage to the prince, in 1915, sold it. So this had been the place where he courted her a tumultuous courtship which didnt make it into the novel, but at this stage, I thought it would. The house was on Prospect. So one sunny afternoon, I took my notebook and pen and camera up that long cobble-stone street to have a look. It was a longer walk than I expected, all the way to top of the hill nearing Loyola dormitory. Imagine my astonishment to find that, of all the houses in this world, the number matched the plate by the front door of the one I had lived next door to Senator Pells! I often wonder whether the veil between the worlds isnt lifted by our simply paying attention. This coincidence of the mansion on Prospect Street like many others in writing this book is a remarkable one, and yet, havent you also experienced a blazingly amazing coincidence or two or eleven yourself? Or heard a whisper, faint as the echo of an echo, to look here, remember this?